The title of this post should really be "I'm about to change your life" but I thought some of you might expect a post about figuring out time to shower or how to make your home brew taste like Starbucks. Sadly, I can't work miracles but I can tell your about the easiest change of all time that will literally cut your data usage by gigs each month without changing any of your phone habits. As a bonus, it will also save your battery life like a boss. Ok, wanna know the secret? It's all in the Background App Refresh. 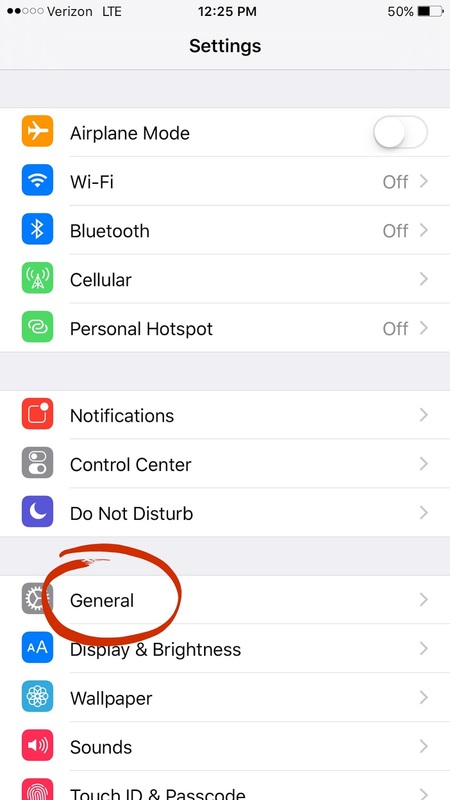 Well, it's a sneaky little setting that allows your phone to constantly refresh all open apps whether or not your are connected to WIFI. 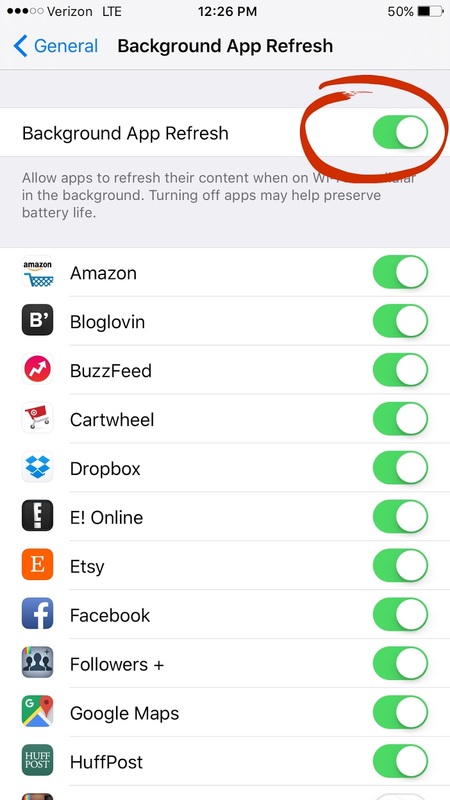 That means that all of the apps you forget to manually shut down are constantly sucking down data by refreshing themselves to be current, even when not in use. Sound scary? Imagine if you leave your map open - it will be constantly (and I mean constantly) pulling data to refresh your current location as you go about your day. News apps will be pulling headlines, gossip sites will be loading the latest celeb nip slips and Facebook will be constantly running those cute little videos of cats riding Roombas all while you blissfully fold the laundry or pretend to pay attention in that meeting. And here's the real kicker: Apple and the cell providers are no fools and have that bad boy automatically set to full blast. Luckily, it's a super simple fix to turn off but you have to know where to look and that you need to manually squash the refresh action. Note that you can turn on individual apps to utilize Background App Refresh if you so desire but swiping them all to No Way, No Thank You will save your data and battery usage without you missing a beat. Bonus Tip: you can turn off the cellular data per app - I turn the data off for apps that I really don't need to waste gigs on like E!Online. If the data is off, it literally cannot load on your phone unless you're logged onto WIFI. And in case you don't realize it, you need to manually close all of your open apps in order to prevent them from draining your battery. To do so, double click on the home button and swipe each open window up. Otherwise, the apps are running in the background and kicking your battery life to the curb. Now go forth and use that data on things that really matter like stalking the best guacamole recipe on Pinterest and then never making it. This definitely helps a lot!! I've been doing this for a while and have noticed a difference. I also changed settings so that heavy data apps (Hulu, Netfilx,etc), will only run on wifi and not through my data plan. I am doing this!! Thanks! Holy moly done and done. Thank. YOU! Done!!! Thanks for the great tip. 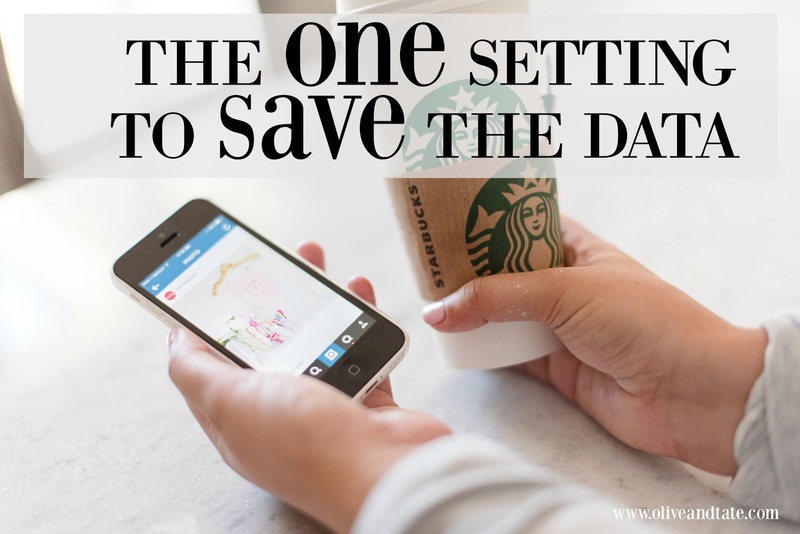 We are almost always over on our data! 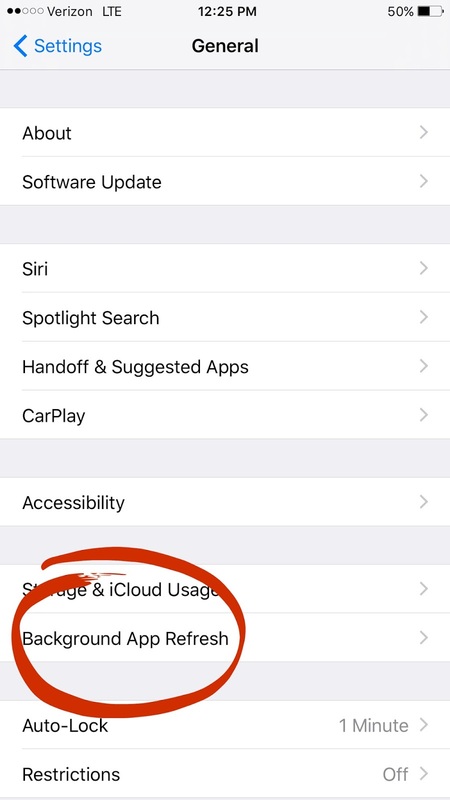 Another way to save on data usage is turning off wi-fi assist. If you have upgraded to the latest software then you have the ability to turn this off. Go to settings - cellular - scroll to the very bottom of that page and turn that off. Love this! I just did this and had no idea I had so many apps refreshing. Thank you! This is great! I just made the change and I am so excited about increasing the battery life. Thank you! Thanks for sharing! Great tip! Thank you!! I rarely take the time to close the background apps, and had no idea this existed. Thank again!! !